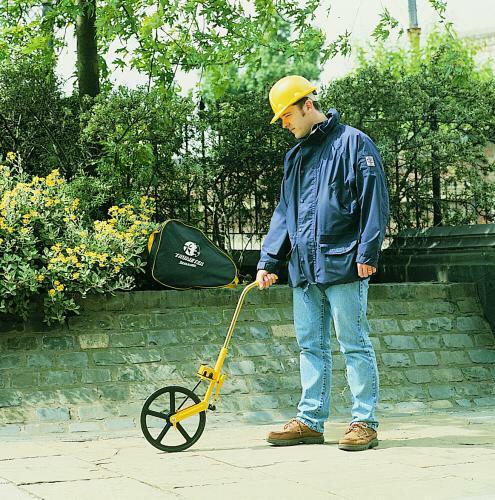 The Trumeter Road Measure range of measuring wheels set the world standard for accuracy and precise handling. Superbly balanced these are the first choice of professionals worldwide. They include a folding handle with pistol grip and come supplied with a carry case as standard. 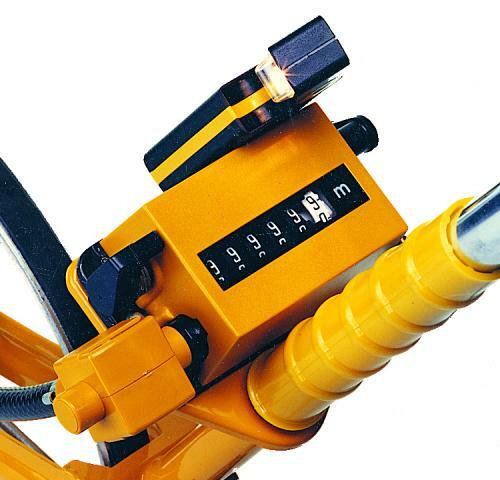 The Road Measurer measuring wheel also has the option of a declutch facility that allows you to free wheel without adding distance to the readout. 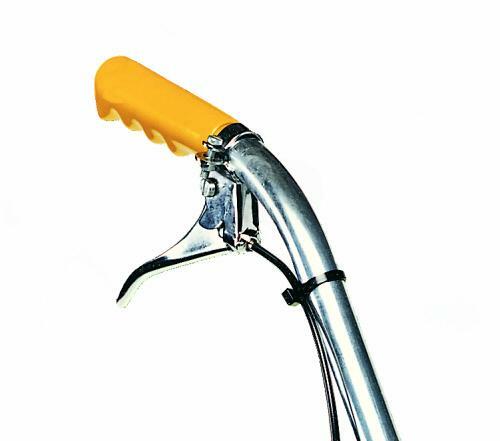 Folding handle with pistol grip for easy storage. Parking stand which folds away when not in use. Clear, easily read, 7mm high figures. Measure 100,000 metres or 100,000 yards depending on model. Metric & imperial versions available. Supplied complete with carry case. The Road Measure Measuring Wheel from Trumeter sets the world standard for accuracy and precise handling. Superbly balanced it includes a folding handle with pistol grip and comes supplied with a carry case as standard. Measurements shown in Metric. The Road Measure Measuring Wheel from Trumeter sets the world standard for accuracy and precise handling. Superbly balanced it includes a folding handle with pistol grip and comes supplied with a carry case as standard. Measurements shown in Yards/Tenths. The Road Measure Measuring Wheel from Trumeter sets the world standard for accuracy and precise handling. Superbly balanced it includes a folding handle with pistol grip and comes supplied with a carry case. Metric Version with De-Clutch facility. The Road Measure Range Measuring Wheels from Trumeter sets the world standard for accuracy and precise handling. Superbly balanced they includes a folding handle with pistol grip and comes supplied with a carry case as standard. See below for models.